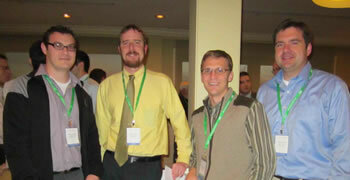 Pathology residents from the University of Iowa are special guests at the IAP Fall Meeting each November. IAP membership is free and automatic for all residents. At the IAP Fall Dinner every November, Iowa pathologists hear scientific presentations and reconnect with colleagues around the state. The College of American Pathologists and Iowa Association of Pathologists strive to provide pathologists with highly focused training in emerging areas of science and technology resulting in excellence in patient outcomes. The Iowa Association of Pathologists, the leading organization of board-certified pathologists, serves patients, pathologists, and the public by fostering and advocating excellence in the practice of pathology and laboratory medicine in Iowa. *2018 IAP dues will be collected by the new IAP managers after the first of the year. Members of the IAP Board of Directors at the IAP Annual Dinner September 21 at the Coralville Marriott. 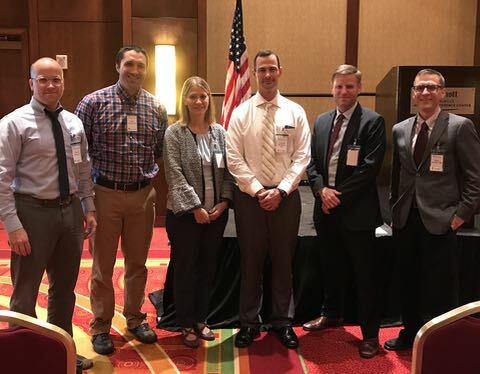 Pictured are (from left); Joseph Eaton, DO; Bryan Steussy, MD; Ramona Thompson, MD; Jonathan Thompson, MD, Clinton Crowder, MD (IAP Secretary-Treasurer) and IAP President Jamie Weydert, MD. 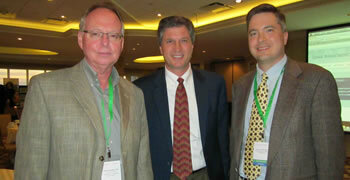 More photos and details will appear in the Fall issue of the IAP Update. Andrew Bellizzi, MD, University of Iowa Department of Pathology, was guest speaker at the IAP Annual Dinner September 21 at the Coralville Marriott. 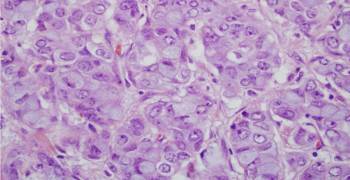 Click on the link below to view the power point version of his presentation, “Updates in Gastrointestinal Cancer Staging in AJCC8”. Despite protests from the CAP and IAP, our regional Medicare contractor, WPS, has finalized the local coverage determination (LCD) for immunohistochemical and histochemical stain utilization, with an effective date of 2/16/2017. While it is unclear exactly how these very proscribed rules will be enforced by WPS, please become familiar with the rules in the attached document, (see link below article) and share with your compliance officer in your group and/or institution. The IAP will be interested in keeping tabs on how/when WPS may deny coverage for IHC/special stain services that are deemed medically necessary by the ordering provider/pathologist. Therefore, if your practice encounters unwarranted denials from WPS related to this LCD, please contact me or Dr. Crowder with your experience, so that the IAP can keep a catalog of problems related to this LCD. The CAP continues to advocate on behalf of pathologists to reform the LCD rule-making process, primarily by introducing congressional legislation targeted against the unilateral authority of Medicare contractors to enact LCDs without involvement of the house of medicine. The IAP strongly encourages our membership to support the CAP in these endeavors, and specifically, we encourage you to send hand-written letters to our representation in US Congress, asking for support of H.R. 5721 – Local Coverage Determination Clarification Act of 2016, co-sponsored by Reps Price and Jenkins. Hand written letters actually force a real person to open and read the letter, therefore they carry a little more impact compared to an email or other electronic correspondence. Check the IAP News section for the latest issue of the IAP Update newsletter. 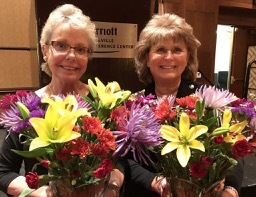 The newsletter contains a report from the 2016 CAP meeting in Las Vegas, an advocacy letter on behalf of Iowa pathologists from IAP President Jared Abbott, MD and photos of the November 3 IAP Annual Dinner in West Des Moines. 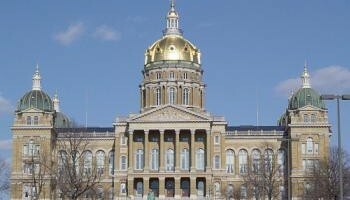 The IAP Update is a benefit of your membership in the Iowa Association of Pathologists. If you’d like to pay your 2017 dues early, go to the Pay Your Dues section, where you can complete an online dues statement and pay via credit card. Thank you for your support of the Iowa Association of Pathologists.